Do you need help with Life Insurance Approval with Arteriovenous AV Malformations? Having trouble finding affordable life insurance with Arteriovenous AV Malformations? Can I Qualify for Life Insurance if I have Arteriovenous AV Malformations? Yes, most individuals with Arteriovenous AV Malformations will be able to qualify for traditional life insurance, the type of insurance which requires a medical exam. Best Case Scenario – A “Standard” rating is possible with Arteriovenous AV Malformation if the case has been diagnosed early during an incidental finding and an appropriate successful surgery was performed. Therefore, eliminating the possible complications such as stroke or bleeding. A “Mild Substandard” rating may be given if the case was discovered after symptoms of headache and epilepsy were discovered. Then it was followed by the scheduled surgery, which is proven successful. Click here for quote at “Standard” or “Mild Substandard”. 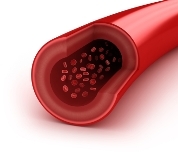 Moderate Case – If Arteriovenous AV Malformation, however, was discovered after a post bleeding episode and a successful emergency surgery was done, it may still qualify for a “Medium Substandard” rating. Click here for a quote at “Medium Substandard”. Severe Case – A severe case would be Arteriovenous AV Malformation that was discovered after a series of symptoms of headache, seizures or bleeding. IF the AVM was determined unoperable due to the risks involved, then it may get a decline. You may have difficulty qualifying for traditional coverage, but could be eligible for a graded death benefit policy. How was your Arteriovenous AV Malformation diagnosed? Arteriovenous AV Malformation that was discovered incidentally and presented no symptoms (asymptomatic) and was operated successfully has a good chance for a Standard rating. Depending, however, on the severity of the symptoms and whether it is operable or not. These cases may still qualify for a Mild Substandard, Medium Substandard or in worst cases a decline. Is your Arteriovenous AV Malformation operable or not? If AVM has just been diagnosed, usually the rating will depend on whether it is operable or not. If it is operable, the case must remain stable for a period of 6 months post surgery before a rating can be given. Unoperable cases are automatically declined. Are you taking any medication at the moment? The need for medications for severe symptoms of headache, seizure, motor dysfunction, muscle weakness or paralysis, speech problems, dizziness or pain may be flare signs of AVM and can get an automatic decline especially if there is no history of surgery. Do you have regular check-ups with your cardiovascular surgeon? Regular visits to your doctor will be the best source of information if your AVM has been stable for the last 6 months post surgery. These assessment findings may get you a Standard, Mild Substandard or Medium Substandard rating. Recent laboratory and diagnostic tests such as CT Scan or MRI will show the stability of AVM or may prove a recurrence. Arteriovenous AV Malformation, also known as AVM is a congenital condition characterized by an abnormal union of arteries and veins within the blood vessels. This condition may manifest anywhere in the body, but is very common in the nervous system. A special grading system, called the Spetzler-Martin is used to determine whether a case is operable or not. Symptoms of Arteriovenous AV Malformation are highly dependent on the location of the AVM. The most common and general symptoms, however, include epilepsy and headache. Other symptoms that may manifest include motor dysfunction, muscle weakness or paralysis, speech problems, dizziness, pain, abnormal sensations such as tingling of the extremities and alterations in thought pattern such as hallucinations, confusion or memory loss.